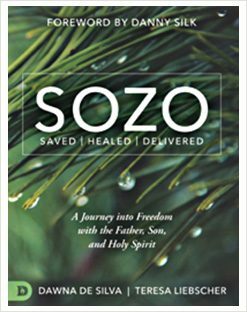 In Sozo, Dawna & Teresa provide revelatory teaching and miraculous testimonies that paint a stunning picture of how to experience Heaven’s freedom in every area of your life, body, soul and spirit. Practical tools to deepen your relationship with Father God, Jesus and Holy Spirit. Victory Strategies to help you disarm lies, break harmful patterns, shift spiritual atmospheres and access the often unreached realms of abundant life. Keys to inner healing by breaking addictions, overcoming obstacles and walking in sustained deliverance.